Bally was built on a love story. So fittingly, it’s the perfect place to find a great expression of love for your greatest love. 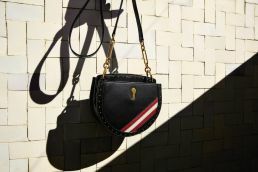 This Valentine’s Day, Bally recalls the simple gesture made by founder Carl Franz Bally to his wife Cecyle 168 years ago. Determined to please her, Carl Franz Bally returned from a Paris business trip to his home of Switzerland with an entire size run of shoes for his beloved as he couldn’t remember her size. Luckily she selected two pairs that were perfect and Bally sold the rest with such success. He converted his ribbon shop into a shoe store in 1851 and Bally as we know it today was formed. Bringing this expression of love to life, Bally has collaborated with upcoming digital artist Quentin Jones to animate some of Bally’s most beautiful Valentine’s gifts with her charismatic vision. At 35 years old, she is already making a buzz worthy name for herself in the digital art space, one that joins art and commerce at its sweet spot. 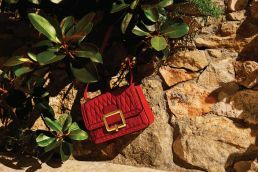 For Bally, the Toronto-born and London-based artist has created playful adaptations of the brand’s Cecyle and Janelle bags for women which make for a romantic gesture this February. Or if shoes are her calling, the Janesse flat and Alice sling back pump make gifts that can’t deny one’s love for another. 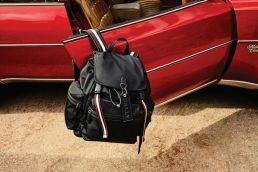 For him, the Select backpack is sure to elicit a loving reaction while the Competition sneaker will ensure you are his this Valentine’s Day. For a more subtle expression, Bally offers a wide range of small leather goods for him and her. So make a statement this Valentine’s Day and say “I love you” the Bally way. 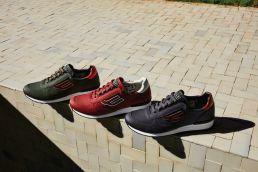 All products available at Bally.com and Bally stores worldwide.